Looking for cleaning wipes, side shields? Wylaco has your eyes covered! For a complete list of Safety Optical Sevice products please visit www.sideshield.com If you don't see what you are looking for please feel free to contact us for a quote. Universal / Adjustable Sideshields for Safety Frames Pliable Medical Grade Polymer Easily adjustable to fit your Safety Frame Fits Small, Medium, Large Saftey Frames No Tools Needed Simple to Install / Remove Independe..
For a complete list of Safety Optical Sevice products please visit www.sideshield.com If you don't see what you are looking for please feel free to contact us for a quote. Universal / Adjustable Sideshields for Safety Frames G.E. Lexan Polycarbonate Easily adjustable to fit your Safety Frame Fits Small & Medium Saftey Frames No Tools Needed Simple to Install / Remove Independent Lab ..
For a complete list of Safety Optical Sevice products please visit www.sideshield.com If you don't see what you are looking for please feel free to contact us for a quote. Universal / Adjustable Sideshields for Safety Frames G.E. Lexan Polycarbonate Easily adjustable to fit your Safety Frame Fits Small, Medium, Large Saftey Frames No Tools Needed Simple to Install / Remove Independent La..
For a complete list of Safety Optical Sevice products please visit www.sideshield.com If you don't see what you are looking for please feel free to contact us for a quote. Universal / Adjustable Sideshields for Safety Frames G.E. Lexan Polycarbonate Easily adjustable to fit your Safety Frame Combination Package Fits Small, Medium, Large Saftey Frames No Tools Needed Simple to Install / Re.. 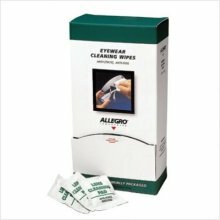 Perfect for cleaning eyewear or computer screens these 100 individually wrapped pre-moistened wipes feature anti-fog anti-static silicone-free cleaning. Excellent on glass or polycarbonate lenses the large 5 x 8 wipes are stored in a wall-mounted cardboard dispenser. Cleans safety glasses. Anti-Fog. Silicone Free. Size: Large 5 x 8 . 100/box. ..
Breakaway Cotton Eyewear Lanyard: Soft cotton lanyard keeps your glasses handy; breakaway connection to prevent entanglement.100% cottonBreakaway designAdjustable barrel slideSlides over temple ends..
Cotton Eyewear Lanyard: Soft cotton lanyard keeps your glasses handy.100% cottonAdjustable barrel slideSlides over temple ends..
Valkyrie Foam Gasket Insert: Removable foam gasket insert keeps out dust and debris.Reduces dust and debris entrySnaps in place at cornersEasily removes when not desired or for cleaningUse alone or with elastic retainer strapFits Valkyrie safety glasses only..
Odin Foam Gasket Insert: Removable foam gasket insert keeps out dust and debris.Reduces dust and debris entrySnaps in place at cornersEasily removes when not desired or for cleaningUse alone or with elastic retainer strapFits Odin safety glasses only.. Ballistic Zipper Case: Rugged ballistic nylon shell protects your eye protection.Ballistic nylon shell with soft brushed insideFits and stores all Skullerz® modelsZipper closureIncludes 3216 microfiber cleaning cloth..
Breakaway Rope Eyewear Lanyard: Durable braided rope lanyard; breakaway connection to prevent entanglement.3mm braided nylon ropeBreakaway designSlip-style attachment fits variety of temple sizes..
Neoprene Eyewear Lanyard: Lightweight neoprene lanyard stretches to fit a wide variety of frame styles.Lightweight neopreneSlides over temple ends..
Elastic Retainer Strap: Patent-pending locking system secures elastic strap to temples for a snug, secure glasses fit.Inserts into temple slots, twists and locksUse alone or with foam gasket insertFor use with Odin, Dagr, Kvasir, or Valkyrie..
Kvasir Foam Gasket Insert: Rmovable foam gasket insert keeps out dust and debris.Reduces dust and debris entrySnaps in place at cornersEasily removes when not desired or for cleaningUse alone or with elastic retainer strapFits Kvasir safety glasses only..
Microfiber Cleaning Bag: Store and clean your shades.Safely cleans lenses with scratchingSoft microfiber materialEmbossed Ergodyne logo patternFits and stores all Skullerz® models..
Zipper Case w/ Clip: Large nylon case stores your Skullerz® glasses and accessories.Nylon shell with soft brushed insideFits and stores all Skullerz® modelsConvenient clip attaches to other gearZipper closureIncludes 3216 microfiber cleaning cloth..
Microfiber Cleaning Cloth: Keep your favorite pair of Skullerz® specs clean and scratch-free.Safely cleans lenses with scratchingSoft microfiber materialEmbossed Ergodyne logo pattern..
Elastic Coil Eyewear Lanyard: Low-profile coil design keeps your specs at the ready.Stretchable nylon/elasticSlip-style attachment fits variety of temple sizes..